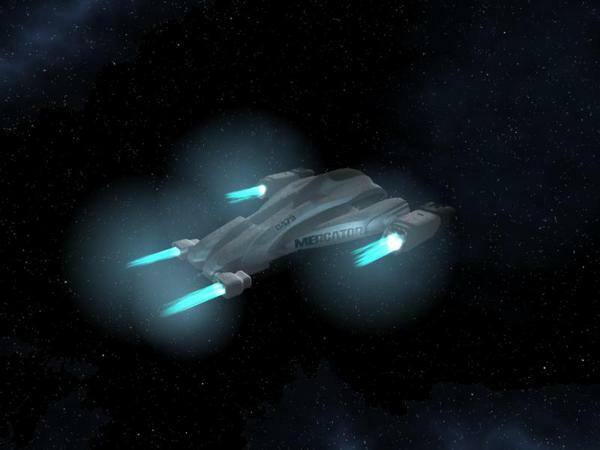 So, I'm using the Vanguard model from here at Daz and trying to use Anything Glows to make the engines light up. I experimented with things like a simple sphere and got anything glows to work but I can't get the Vanguard to 'glow'. I set the engine flames shader to glow. I can't select the specific engine flames in Carrara and add Anything Glows to them. It's greyed out. 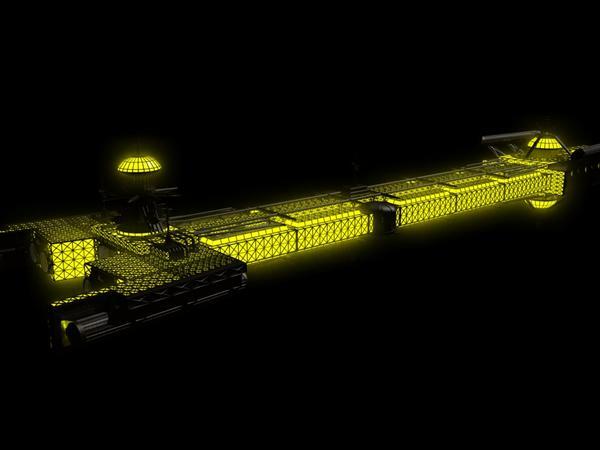 I can add it to the main model of the ship just not any subparts. Any hints or suggestions for a new guy wanting to play with Carrara? Anything glows puts out light, it does not cause the object to glow. You do that is the shader, glow channel. Unless the light from the engines are actually lighting up something, you don't need anything glows. Well the object has been made to glow in the glow channel. But I thought anything glows putting out light would make it brighter and look more like a spaceship's engines as well as making the inner parts of the engine look lit up. I was sort of able to do it with a model of the spaceship from the black hole using a combination of anything glows, the glow channel and a 3d aura. The effect you are probably looking for is "Aura" under the object's Effects tab in the assembly room. For a nice effect have it decay over distance. I tried it with 3d Aura and also with a multiply. I stuck with 100 because when I went higher the glow went totally white for some reason. It's better than Glow alone though not perfect. Ironically I think the little landing lights or whatever look better than the Engines. Heh. I see now that I was reading too fast and missed you saying earlier that you were using 3d aura. The images you posted didn't seem to have a particularly strong 3d aura -- that is strongly affected by scale and the distance attenuation significantly impacts the size. Also, if you are using glow channel for simple lights as well as engines you are probably not going to get the best effect with 3d aura. Something else you might consider trying is rendering multi-pass and doing a glow (or other) pass as separate. You could then use that in post processing. It would allow you substantially greater flexibility in the effect. Other things to try really depend on just what you are trying to achieve. One of the add ons (in Advance Pack, I think) is 3d volumetrics. That allows some really controlled effects by bounding the volumetric with a mesh. Or, for some types of engine effects, cones with alpha transparency mapping. Originally I was trying Anything Glows but it just never seemed to work. I may still experiment with it some. And then just use photoshop layers and merge the pics or something? Hmmmm...I could try that. Is Advance pack a plugin or something? 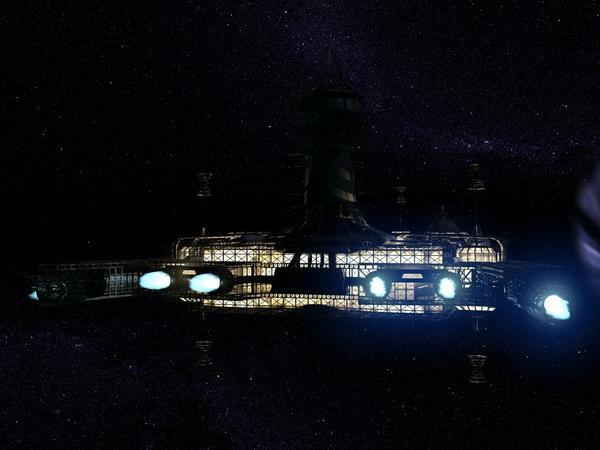 To give an idea of what I mean, there is the image from one of the space ships sold in the store here. It may be postwork but I've seen a lot of Carrara renders around that look like this. Well, by itself, anything glows doesn't really do anything -- all it does is serve as a light source to illuminate something else. If there's nothing to illuminate then it really doesn't do anything. A fog may be reasonable to serve as something to illuminate, but you'd probably want to be able to provide a particular shape. Well, I haven't done it and I don't do much postwork myself. But an example might be to use the glow pass as a mask for an effect being overlayed on the image. Advance Pack is a set of plugins sold through Daz. The one I was referring to is Primivol. I haven't used it much yet, but it is far easier to work with than the Carrara builtin fog, for example, when trying to get an effect. That looks very doable to me. For easy to set up (once you get the hang of the scaling) I'd probably use 3d aura, but with some other things I've played with I'd be tempted to try using metaballs and a shader. There's a fake fresnel capability in Digital Carvers Guild Shader Ops that is handy for controlling gradients over a surface. Someone handy in photoshop should be able to knock that out very easily just free handing over the render. Myself, I've got a personal preference to do as much of the work as possible using the Carrara renderer which is why I'd lean toward 3d aura or a shader-based effect. I definitely need to play some more. One problem I had with the Vanguard is when I tried to make the aura too big it leaked out around the edges of the engine model and ruined the effect. Still, this has been helpful to me! Thanks a lot! I'm playing with all kinds of stuff in Cararra and am impressed by some of what I am learning though I wish I had access to more (preferably free) tutorials. Cararra seems harder to find them for though I did just find a nice youtube channel called Carrara Lounge which should help I hope. It seems, at this point, to be harder to pose and place figure in Carrara than in Daz but that is probably just because I've had it for less than a day. :) I do wish I could search content more easily in it however. If you first, add a Bulb light,. behind your engines,. it will be able to cast light on the Hull and the engine,..
then you can go to Effects, and add a Glow effect to the Bulb. and set it as you want. You can then Duplicate that Bulb,. and place it behind the other engine,. It'll have the same settings and effects. In these images, I created a Starfield background, Using a Sphere scaled to 3miles, and a procedural shader for the nebula and stars. 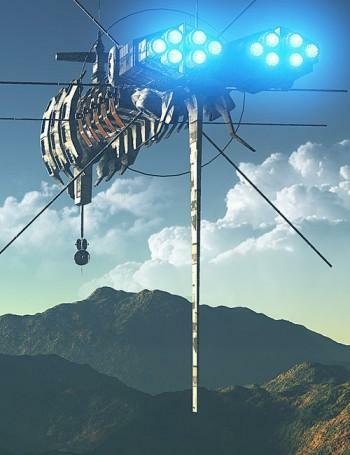 Ship with bulb lights, plus Glow and Glare,. Scene Setup and effect settings. Very cool! Clearly I need to figure out how to do this. I don't even know how to add a bulb yet! Edit: And I figured out the bulb and the fire. Cool. New toys! I haven't seen them myself, but Phil is really an expert at Carrara. I'll probably pick up Advanced Techniques myself before long. You can also find a lot of very good tutorials for Carrara's basics on Youtube by several different users. Trust me, learn the program first. You will be amazed at how much easier things become and what you are capable of doing once you do. Just as a general thing, 3dage's advice about using bulbs is a good one: while it may be tempting to use anything glows you are probably better off using bulbs and spotlights to mimic sources of light in a scene. 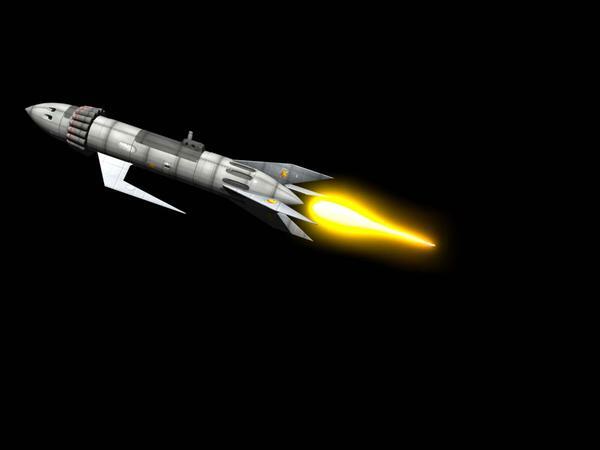 To illustrate what can be done using objects and shaders the following is just a rocketship model (from Daz, forget which one) with a deformed sphere to use as the jet. One advantage over the fire primitive is that it is bulbous (the fire primitive is comprised of an array of parallel* strands, one consequence of which is that it can only be used for jets of flame) and can be twisted to suggest a turning motion. The shader is entirely procedural, uses the glow channel and 3d aura. One thing it demonstrates is the limitation of Carrara's post processing: there is no antialiasing. To remove artifacts from around the deformed sphere object I used photoshop's healing brush. That does look pretty cool actually. I definitely need to experiment with that and, well, a lot of things in the program. I spent a big chunk of yesterday trying to hunt down tutorial videos and/or pdfs and am just doing my best to learn as much as I can. What works for you may well be different than what works for me, but my approach has been to combine experimentation and study. I have Phil's tutorials and one thing I've learned from them is that there are always small, simple, novice things to be learned. I sure don't consider myself advanced but I have also found his advanced tutorials useful as well. I wish I had the Mark Bremmer tutorials (Daz used to own my wallet and being able to get things here at a discount has contributed to the direction of my purchasing), but even without those you can can use his free "dark arts" tutorials. He's good at conveying methods and approaches. Roughly what I do is go through the tutorials that interest me. Interleaved with that I will experiment, try to set up a decent "test scene" for an effect and try different things. I say interleaved because sometimes it comes from a tutorial and sometimes I'll end up looking up a tutorial for a given area. That approach has gotten me fairly comfortable with things like the UV map editing in Carrara. If, like me, you use a fair amount of purchased content then at some point you are going to have issues with poor UV mapping. The editing stymied me at first -- tutorials were of definite use -- but it took creating UV maps for models I created as well as fixing others in addition to the tutorials to get to the point I'm at. Anyway, outside of Carrara specific resources and tutorials I recommend books like Digital Lighting and Rendering. I held off way to long in purchasing that book, IMO the sooner the better. You should start by going to Help / Carrara help. it's the PDF manual which covers the majority of the basic features and principles involved in using Carrara,. Also,. since you're new to Carrara,. take some time to "play" with the Scene Wizards, which allow you to create a scene by selecting pre-set options, (just to see what the wizards do), and browse through the Preset Shaders, objects etc. have a look at some stuff, to see how it's built. If you're working with (human scale) figures,. always use a Medium scale, scene, to start with. You can still add Big terrains, or oceans to this Medium scale scene,. but it's ideal for working with figures. If you want to make huge landscapes,. choose a Large scale scene,. and if you want to work with insects, choose a small scale scene. Depending on what you want to do, and learn, there are some great tutorial resources,. and the experienced users here will always try to help you, ....so don't hesitate to ask . If there's anything specific you want more information for, or advice about using, ...then, ask here. To add Light's,. Go to Insert / then scroll down to the lights section where you'll see Sunlight, Moonlight, Distant, Bulb, Spot, etc. The manual describes each light type and what it does. The Insert menu can be used to add most Carrara objects to the scene,. and your browser area, at the bottom of the screen allows you to add Daz3d or Poser figures, or your own Carrara models, shaders, particles, hair, plants etc.. into the scene you're building. You can also Drag and drop things you create in a scene, into the browser,. under My Objects, My Shaders etc.. I've referenced the help a few times. Sometimes it's, well, helpful, sometimes it's a bit obtuse. I've learned quite a bit by a combination of youtube videos and just playing around with buttons in the interface. Having used Daz for about 3 years or so now has also been helpful though some of the differences in UI throw me off from time to time. For example, switching Cameras in Cararra took me about ten minutes to figure out. The solution was obvious once I found it but I'm used to seeing the little arrow next to the camera drop down in Daz, whereas in Cararra you just click on the camera name and it drops down with a list of other cameras. Which will be helpful to me since I now know I can use the director's camera like I use perspective in Daz, to move around a scene and look at positioning from different angles and such. The vast majority of my renders in Daz were figure renders with the occasional space ship render thrown in to mix things up. I haven't really figured out how to do something as simple as stick a space ship in a scene and then put some stars and/or planets in the scene behind it yet. I played around with trying to set up some clouds and atmosphere in a test render of the vanguard but it just filled the screen with a white mess which I assume was the volumetric clouds. I'd love to get some advice on hair. The best result I've gotten so far made Reby Sky look like she had the world's worst case of bed hair ever and hadn't cut her her hair since she was a small child. It's always uneven. Though at the time I was trying to paint the area directly on the figure. I just found the 'hair cap' and I suspect that is the preferred way to do hair. I had it installed already but it took until last night for me to read that you have to manually update folders/add folders when you install new stuff. Daz spoils me, especially in 4.5 by just doing it for me. I added them from the toolbar, I guess either method works. It was really only yesterday that it began to click with me in Cararra I have to drag and drop and don't just doubleclick an icon. My big experiments of the last day or two, besides the ship engine glow I first asked for help with, has been trying to get Daz figures looking decent in Cararra. The best result I got was using a v4 Elite :Lana shader pack specifically for Cararra and the pre-baked light set, but let's be honest, that's just putting prebuilt stuff into the scene and a far cry from how comfortable I am tweaking surface settings and such in Daz Studio. Oh, a big, big question I have about the browser. Two really. 1) Is there anyway to organize it like how you can categorize things in Daz? And 2) Is there anyway to make the icons bigger? The thumbnails are TINY and I find myself squinting a lot trying to see them better. Yes, the thumbnails are tiny and can't be made larger than what the two options allow. Content organization outside of Smart Content is done by moving the files and folders, it can't be done within Carrara itself. for the shaders,. and tweaking them. this thread may be helpful,..
Carrara is more that just a content loader and renderer, so it actually makes more sense to Not have that "Automatic" content searching thing going on, since, you don't actually need to have ANY content in Carrara,. you can start by building your own sets, figures and props and organise them as you need them. There's not many options for re organising content into categories, since the files that Carrara saves are "Carrara files, and can be just about anything from a shader, or particle system, to a full scene with multiple figures,. physics simulation and dynamic hair. etc..
that needs to be organised using those applications,..
Carrara only reads the runtime and displays what it finds. Dynamic Hair is a challenge,. since there's a lot of set-up and styling, and the shaders, also style the hair by adding Frizz, Kink, Wave and Clump, length,.. as well as providing variations for those options. Then you need to simulate that on your animated figure, and then adjust the settings if you need to. The hair caps are a good start point,. but they don't cover all the figures,... but you can paint the hair "growth area" directly onto the figure,. if you want to add hair in other areas, .. Here's the simple Space scene I created,. with the Nebula / Starfield shader applied to a Big sphere,. Oh, that large preview button helps a ton! I'm no longer looking at something smaller than a postage stamp! Thank you for the scene and the answers. I'm going to check out that thread as well. What I've been doing for Daz/Poser content (since so far Cararra 'content' is relatively organized) is going into Daz and going to the item I am looking for then doing "Browse to file location". This usually gives me what I need to look for it in Cararra. Generally what name its folder is under. Sometimes I have to do it multiple times, once for say, a clothing item, then another time for a prop or mat save for the clothing item as well. Others have mentioned the nature of Anything Glows. I do like the bulb lights in conjunction with the 3D light sphere (under the light's effects tab). Using that along with either a volumetric fire or particle generator can give a nice effect. I will also sometimes use a lens flare along with the light sphere. I should also note that if you plan on making any interior shots of the Vanguard model, you will probably want to copy and paste the instrument panel displays into the glow channel as well as any light shader domains. It can be time consuming, but when you're done, you can drag and drop the multi-colored ball at the top of the shader hierarchy to your shader browser for later use. 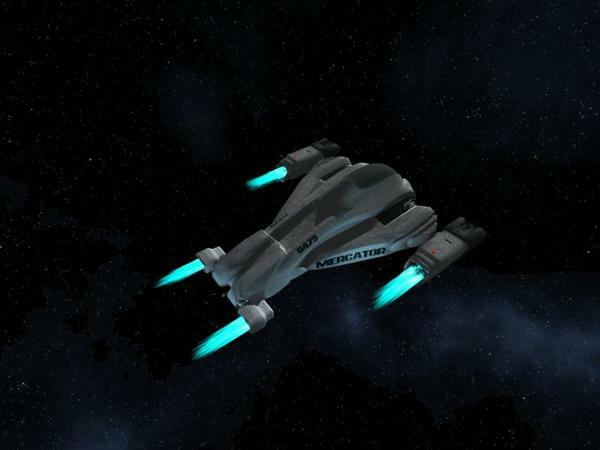 Simpler yet (especially if you've added lights to the engines and the interior of the craft, would be to make sure your lights are all grouped with the Vanguard model, and then drag the Vanguard to your Objects Browser to save the whole thing. Bit confused by this. Are you having problems finding a figure or prop in Carrara that shows up in DAZ Studio? You can add runtimes manually if they don't show up in Carrara's content browser, by clicking the little black icon on the far right of the browser window. You should be able to click or drag any of the items under the content browser. To add a mat file, make sure the top level of the figure is selected and double click the mat file and it should apply to the figure. You'll still probably need to adjust the shaders in the shader editor because, as with all 3D programs, Carrara has it's own shader engine and some things don't quite translate correctly. the space scene is just an idea I'm playing with, and the shader is very simplistic right now. you can adjust the stars, and nebula cloud by adjusting the "curve filter" for each of those elements. but,. it's just an easy solution,. (drop in a ship) animate, and render. In the shader room,. where you have a texture map,. there's the "name of the file" underneath the preview of the texture,. I've got the runtimes but it's not organized like I'm used to. Instead I have to figure out what something is (figure, prop, etc) then scroll through the list looking for it. On most of my stuff I have no clue what folder it is considered to be in since I use category view and have it customized in Daz 3 and 4.5. So often I have to "browse to file location" then I go "Oh, it's under Swam/Jennifer Hair" or something like that. So then I guess "well hair is probably considered a figure" and slide all the way down until I find a folder named Swam and then under it Jennifer hair. It's just cumbersome. This reminds me, when I add new Cararra stuff I have to either update or add the folder. Does the same thing apply to Daz/Poser content? Do I need to update the runtime folder in Cararra before it sees newly purchased and installed stuff? Thanks for the tip about the shader room! I'll have to remember that! As for the space scene, it sounds pretty cool. I noticed under effects for lights I think it was it had settings for stars and nebulae but I haven't played with them yet. 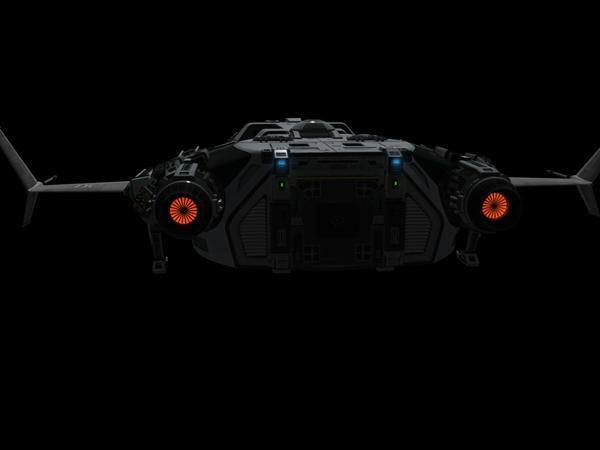 Going back to your image with the ship from the Black Hole, I have that model and a more detailed one as well. (I'll try and find the link). I played with the glow channel and noise functions and got a pretty decent effect. What really helped though is getting rid of the glow channel and instead use translucency with internal lights. I'll post an example that uses transluscency and internal lights and where I used the fire primitive, bulb lights with a light sphere and a lens flare for the jets firing. Do you get the thumbnails of the stuff? Regarding the runtimes updating automatically, I don't know how D/S does it, but Carrara's update automatically. Carrara displays the runtime hierarchy under the Content tab of the Browser. You can have multiple runtimes as shown by my screen shot. Figures (including conforming clothes, hair, vehicles, etc. because it's "rigged" and is considered a figure) is where you find V4, M4 etc. etc. The Pose directory is where you'll find poses and .mat files. Props is usually where you'll find non-rigged and static objects for use as props. I know from earlier versions of D/S that you could categorize your figures and props and stuff, but that was all just an internal way to view your stuff, it still used the Poser style runtime file structure to reference the objects. Move anything out of the directory and D/S would be lost. The new system categorizes automatically by using Meta Data as I understand it. C8.5 is also supposed to use the new Content manager or whatever it's called. As long as you've added the Poser or DS Runtime folders,. Carrara will update those,. and the same applies to any other folders added to the browser,. carrara will auto refresh when any new items are added to those existing folders,.. It's only when you install a "new" item into Carrara that you "may" * need to add the folder for it to the browser, and select what type of files are in the folder. The categories idea is something I don't like ..
not through an artificial "short-cut" to wherever the file really is. Normally,.. programs aren't built to allow the user to move files around and still be able to find those files when they're needed,. so instead of moving the Real file,. you can move around a bunch of Short-cut's to the real file,..
You can re organise the Short-cuts to the real files, any way you want, ...without breaking anything. 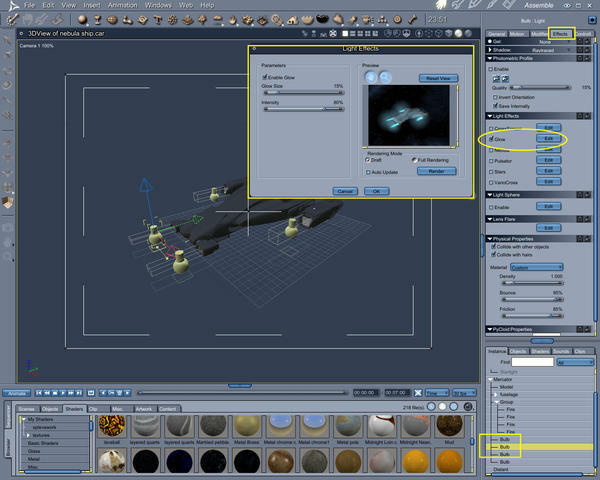 In Bigger 3D applications like 3DMax, Maya,...... and Carrara, where you may be working on a set of scenes for a production, or creating work for a client, then you need to be able to know where the files you're working on really are,. and categories or short-cuts to files don't cut it.